Sometimes a Baradwaj Rangan recommendation isn't all that it's cracked up to be. The ingredients were good: Given its relative scarcity, noir is always a welcome shade in Hindi cinema, and the combination of Ranvir Sheorey as an inveterate wheeler-dealer led to faking his own death for insurance money, Delhi setting and a convoluted exploration of dark deeds promised much. But there are crucial slip-ups. 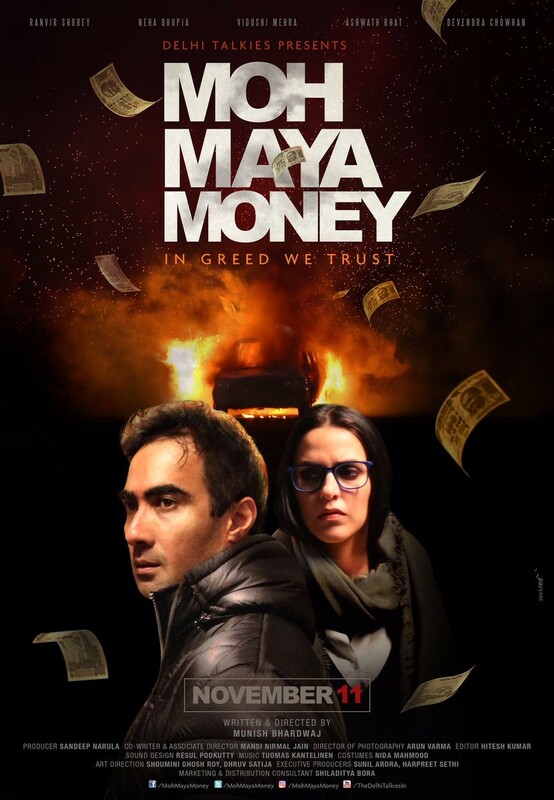 The relationship between the lead couple is a mystery: Both Sheorey and Neha Dhupia act well, but the script never convinces us why their characters are together. She is an independent aggressive achiever, irritated by his shady shenanigans, and he's a needy blowhard. There is no suggestion as to the romance or attraction which justifies why they got together at all, rendering null the crucial central chemistry. Not that the film needed a youth romance flashback, but there are rapid and subtle ways of hinting this, and it's not that Munish Bahardwaj's script is exemplarily ruthless about extraneous detail. In fact there is an abundance of tepid sub-plotting which adds to the running time without hugely propelling the narrative. The clumsy execution of the central crime also hurts the immersion factor. Considering the highly suspicious circumstances of the faked death, it's laughable that the insurance company prior to making a multi-crore payout doesn't ask for a basic level investigation that would undoubtedly have exposed the lie. While the film falls in the noir genre, it's not shot in the trademark Chiascuiro play of light and shadow, looking dull and flat most of the time. All is not lost however: There are occasional moments where it shows fleeing glimpses of the engaging thriller it could have been, particularly when Sheorey is doing jugaad to arrange for a corpse to stand in for him. In a lighter vein an amusing drinking game can be made of the number of shots Neha Dhupia is seen packing a bag.